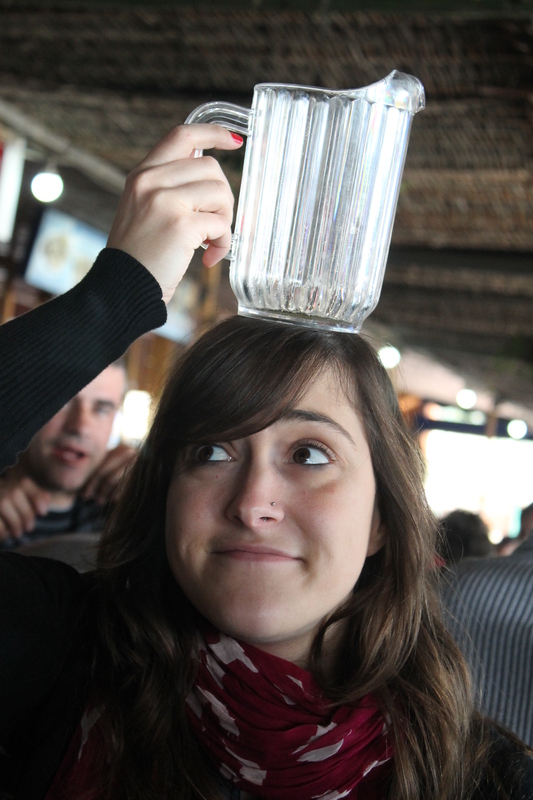 I’ve learned a lot of things in Spain. Just ask Christine. Certainly one of those lessons has been to speak up. As Spaniards are candid about their opinions and not really all that patient, their bar language is a reflection of the gregarious personality that even my six-year-old students display. And this is why I loved El Tintero, a malagueño restaurant that puts it all to practice. Let me preface: It was my pal Hayley’s 27th birthday, so I had to make a trip out to her current home of Antequera for a quick visit. Lady loves her Spanish everything, though seafood is not really her cup of té (and neither is coffee, for the record). Still, our friend Julie of Forenex fame was also visiting, so it only seemed right for her husband Fer to drive us to Málaga for fresh seafood. 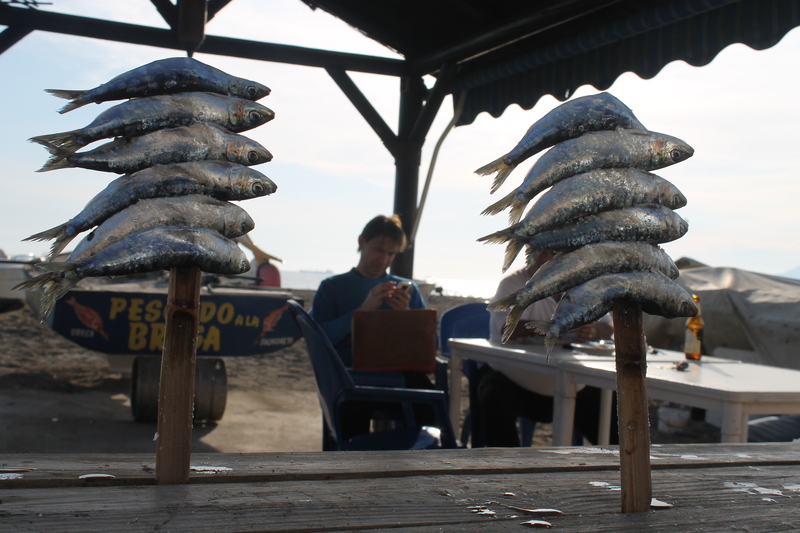 I’ve always had a soft spot for chiringuitos, even long before I even started eating fish. I dreamed of istting under a red Coca Cola umbrella, wasting away the summers with a cold glass of San Miguel in my hand and my toes burrowing into the cool sand. El Tintero is the Joe Pa of chiringuito beach bars – wildly eccentric, the best at his trade – and worth trying to match Sarah of Love and Paella’s fantastic write-up from a few years back. Perched at the end of a long line of beachfront restaurants on the Playa del Dedo on Málaga’s far east stretch, El Tintero specializes in seafood. But there’s no menu – instead, the feeding time works like a subasta, or auction. 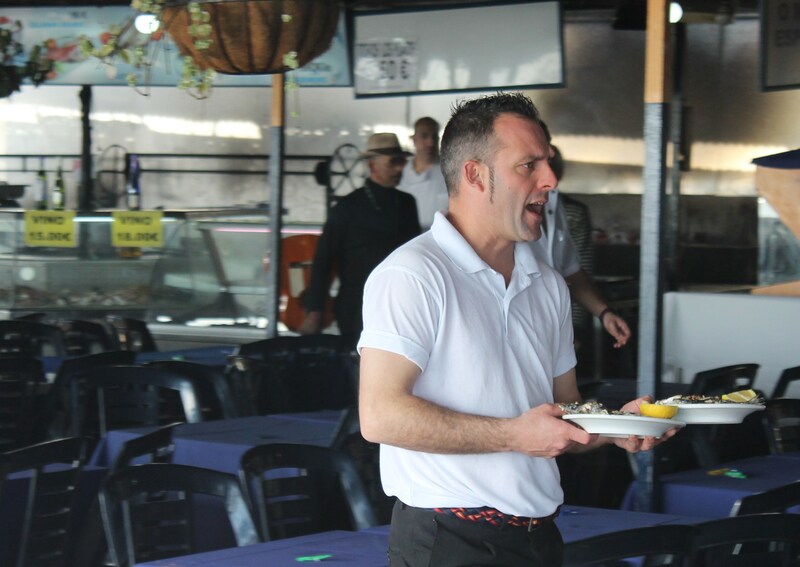 Waiters in the standard white-shirt, black-pants uniform pass around with plates of anything from the sea – from Malaga’s famous espetos (charred sardines cooked on a skewer) to arroz meloso to fresh clams and whole fish a la plancha. Our, um, upset tummies (all the red velvet cake the night before, clearly) welcomed the beer brought in jars and Fernando’s choice of puntilltas to get started. Hayley flagged down a waiter for arroz marinero, and I shouted for razor clams bursting out of their long shells and sardines. The place was crawling with people, ONCE lottery ticket sellers and the occasional busker, but all the noise made for a non-necessity to converse. Our mouths were so full at times, we could barely work up the nerve to order more. 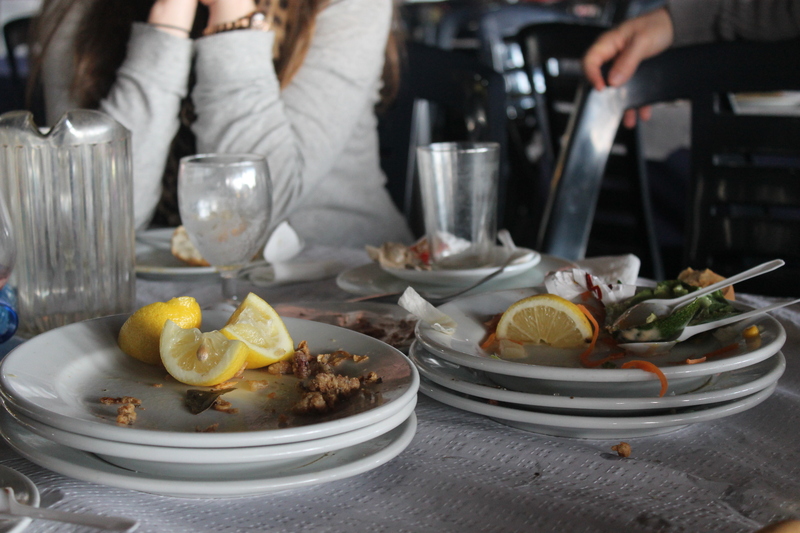 The plates became more readily available as the sun crept along the shoreline horizon and 5pm closing time approached. Our bellies couldn’t fit anything more in, even though the plates became more and more appetizing as the eating wore on. The quick-talking ME COBRO!! waiter carried around a portable credit card machine and a very accurate mental calculator and totaled our plates – 7,50€ for each of our seven plates plus a few jars of beer and a few bottles of water. Exhaling, we made room for a few bites of chocolate cake and a coffee. If you go to El Tintero take the exit that circumvents the city center and takes you out towards Almería, exiting at El Palo and continuing on towards the coast and the Playa del Dedo. Be aware that parking on the street is limited, so you’ll likely have to pay a busker who will help you park your car. Plates are 7,50€ unless otherwise noted (5€ on Fridays), and gratuity is included with your bill. Expect to pay about 15€ a head for food and drinks. I love food posts! Thanks for sharing your experience with us, it looked delicious! Happy Birthday to Haley! mmmm, love Tintero, kind of love seafood, definitely love you! This looks yummy. never seen espetos like that before! 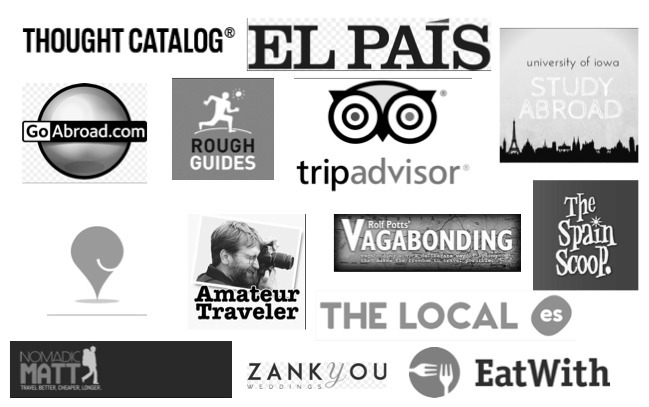 @Kelly – you just miss Spanish food that much! @Hayley – love you back! 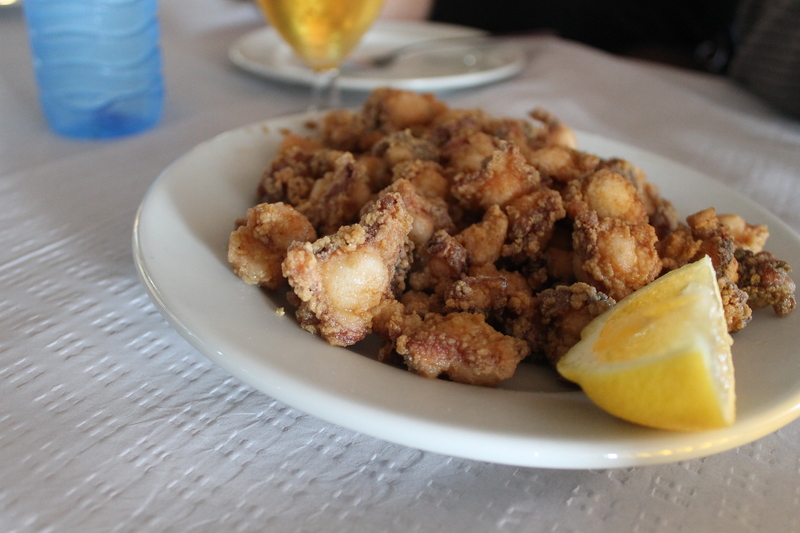 @Reg – this is what Malagueño beaches are famous for, and they’re so, so good! @Graham – thanks a bunch! They didn’t have that option when I was an auxiliar, but I would have loved it! Can you believe I was living practically on the beach in El Puerto and never tried espetos?! So silly…! I love places like this–so authentic! We went to a similar place in Porto where we had oodles of sardines coated in coarse salt and grilled. I know that was Portugal, but it was still muy delicioso! You’re right – taste is taste no matter where you are! I can’t wait till sardine season in Southern Spain! 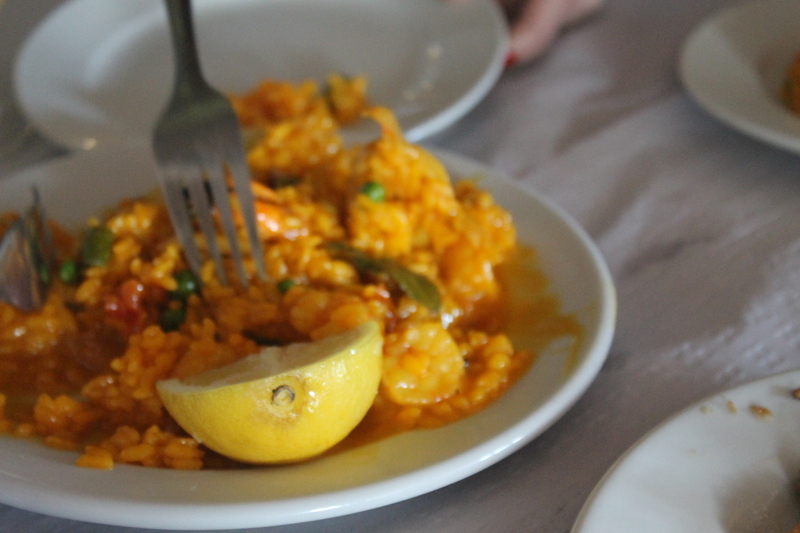 ….you have discovered why I love Spanish food so much! It’s illegal to use any kind of enhancer, drug or even certain types of feed, so certain products are only available in their season. I await strawberry season like I do my favorite holidays! Lisa recently posted..Where’s The Best Place to Live in Spain? It’s definitely the picture of Spanish life! Thanks for the shares, too!